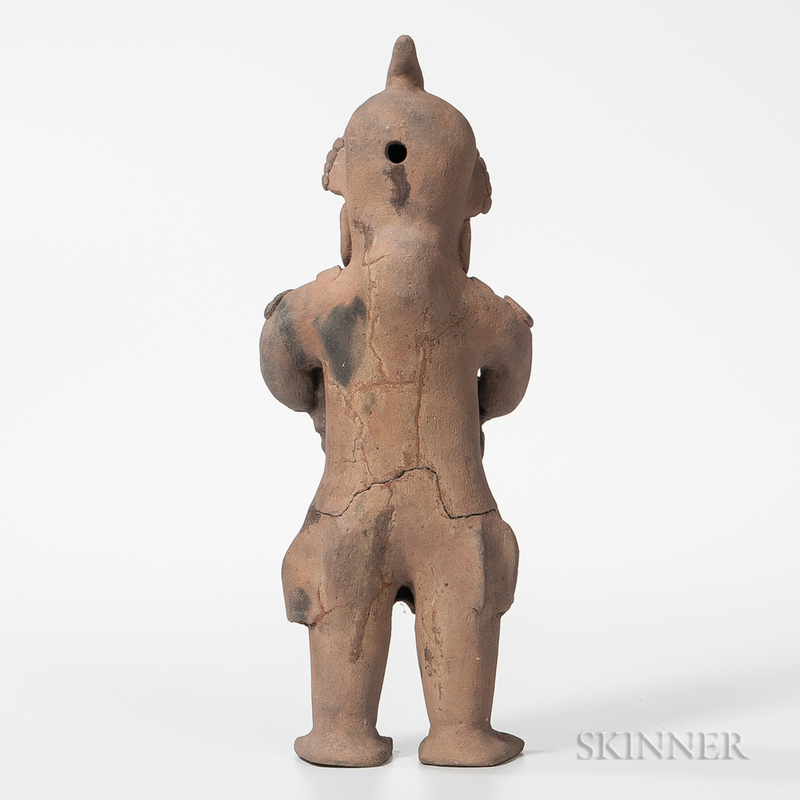 Jamacoaque Terra-cotta Standing Shaman, c. AD 500- 1000, the figure holding a bag in one hand and an implement in the other, wearing a long garment, with a necklace, nose ornament, earrings, and headdress, ht. 13 in. Provenance: David Stuart Gallery, Los Angeles, inventory no. AC 25 under left foot. Cracks and repairs at waist and on back of the figure.